You know what the most amazing and awesome invention is ever? 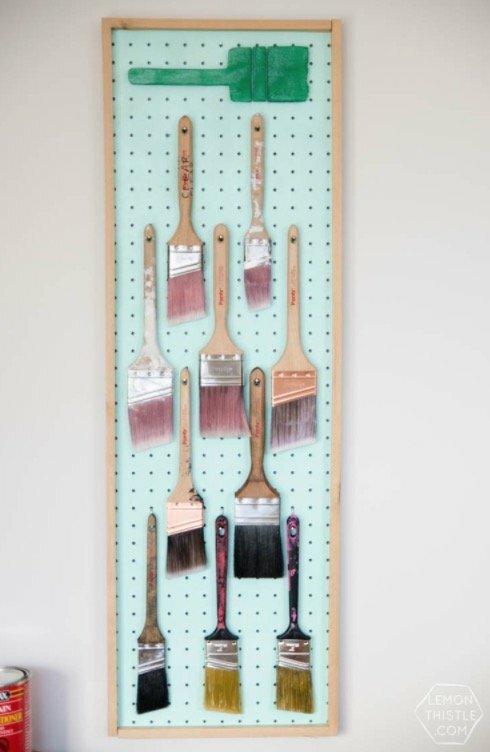 You guys, I can’t even…I just get so excited when I see fun and practical pegboard projects! If you don’t already have an obsession with this most super useful invention, let this post change that for you! 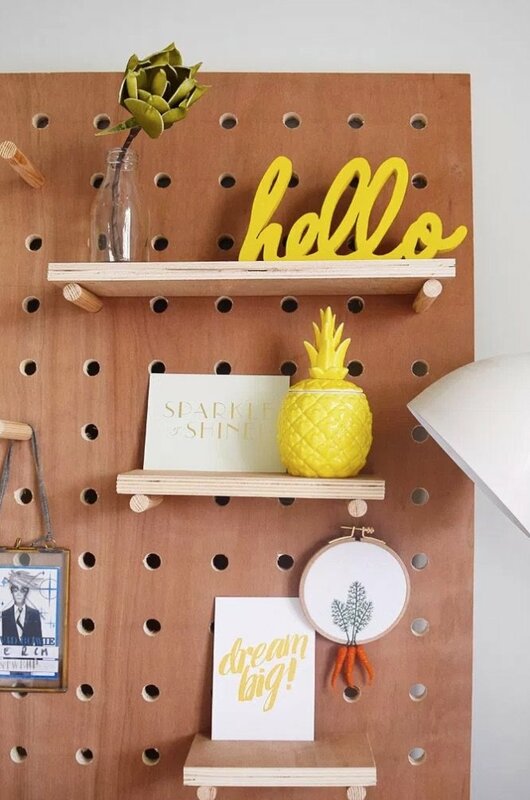 Here are some of the most inspiring projects you’ll find that show how to organize and decorate any space with pegboard! Let your mind be blown…it’s OK! 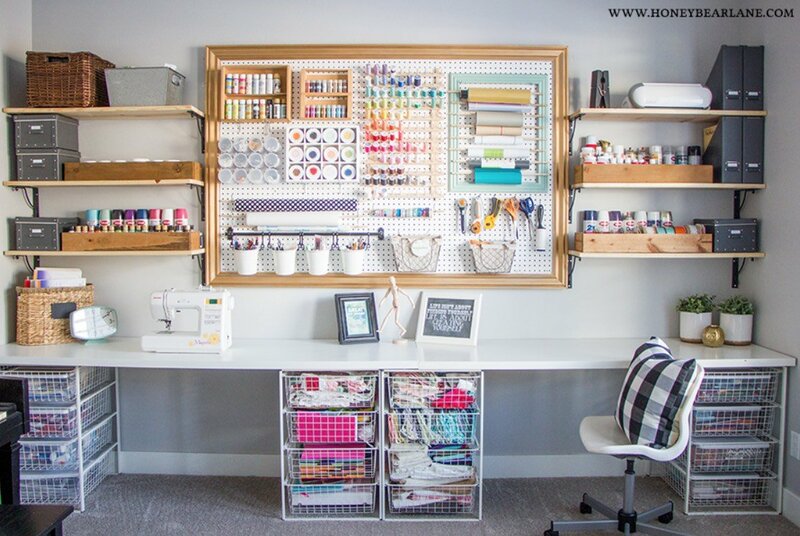 Karianne at Thistlewood Farms has taken pegboard organization to a new level and used an entire wall in her craft room for pegboard organization. It’s stunning, and the black and pink color scheme adds a super chic feel that anyone would love! You know how designers talk about statement pieces in your home? Those pieces in your home that just wow your guests or spark conversation when they walk in? Well how about a statement pegboard? Because that’s what Mandi at Vintage Revivals has done, and it’s absolutely awesome! The garage is a classic place to use pegboard, but few people do it as well as Sarah from the Ugly Duckling House has done! 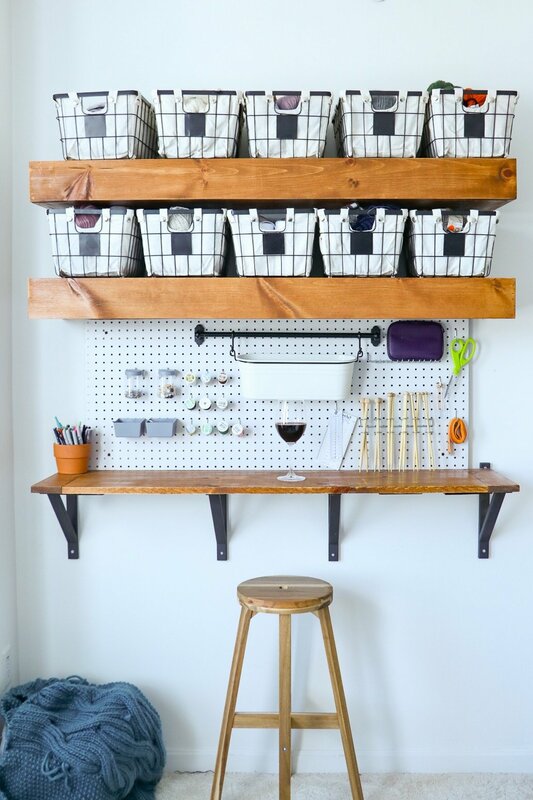 She framed her large pegboard, which defines the space and gives an extra shelf on top! She also added shelves below the pegboard for all those larger paint cans and such that wouldn’t normally belong on a pegboard. 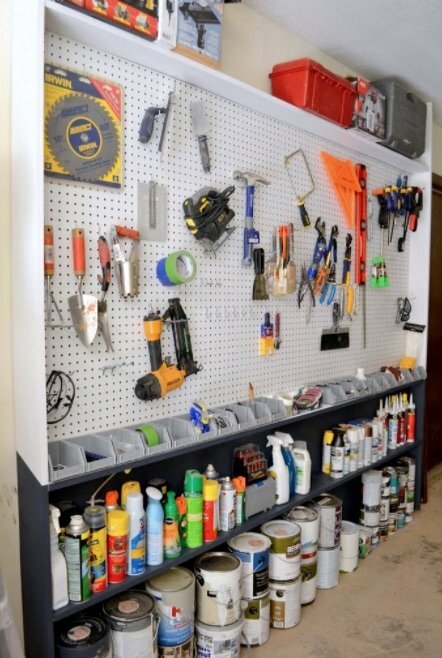 The result is a super useful pegboard wall system that’s flexible! 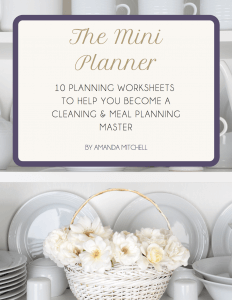 I’ve long been a fan of Heidi’s blog Honeybear Lane, and projects like this one are exactly why! This craft space is any craft lovers dream space, and the lovely frame that Heidi added around the pegboard adds such a cute decorative touch! 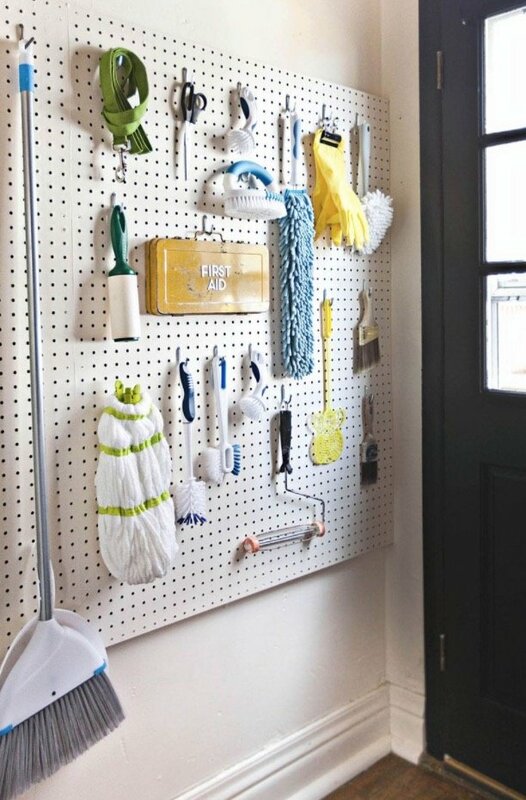 If your laundry room always seems to be in disarray, consider using pegboard to get it organized! 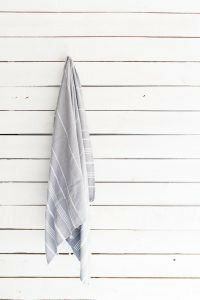 Check out what Elsie from a A Beautiful Mess has done in her laundry room for great inspiration! Do you find yourself searching high and low for gift wrapping supplies like…10 minutes before you have to be at a birthday party? Well, a gift wrapping station may be in order! 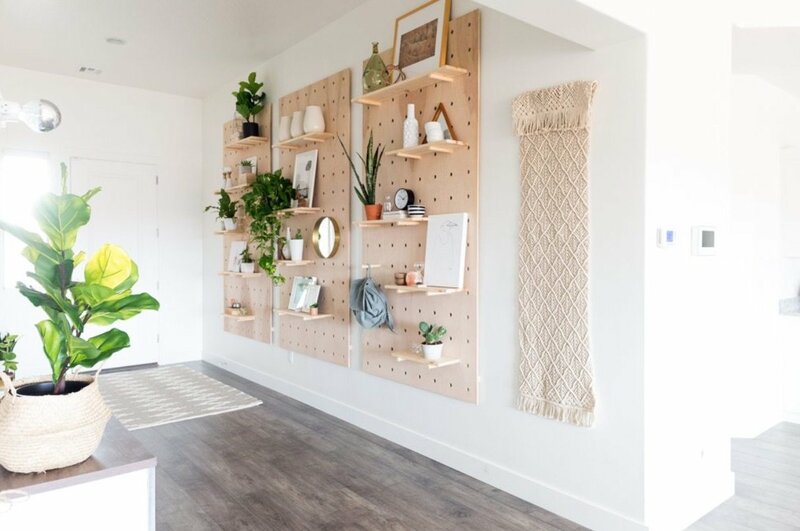 Krista at The Happie Housie has put one together using pegboard that puts all the necessary gift wrapping supplies neatly in one place, and it doesn’t take up a huge amount of space. Just think about how much easier wrapping Christmas gifts could be with one of these! I have one word for this project: BRILLIANT! This is a great space-saving solution by Taryn Whiteaker that looks adorable AND keeps all those diaper supplies readily accessible no matter what kind of mess your cute little smush challenges you with! This is my solution to our overflowing craft supplies. Since a craft room isn’t an option in our two bed, two bath condo we built a craft corner complete with a pegboard wall for a complete and flexible craft storage system in a small space! This workspace is so much more than your typical bland workspace! Mandi at Fabric, Paper, Glue (now Craftspace)has transformed this space into a decorative dream, complete with a floor-to-ceiling pegboard that’s as pretty as it is functional! Who would have thought that plywood could be so attractive?! 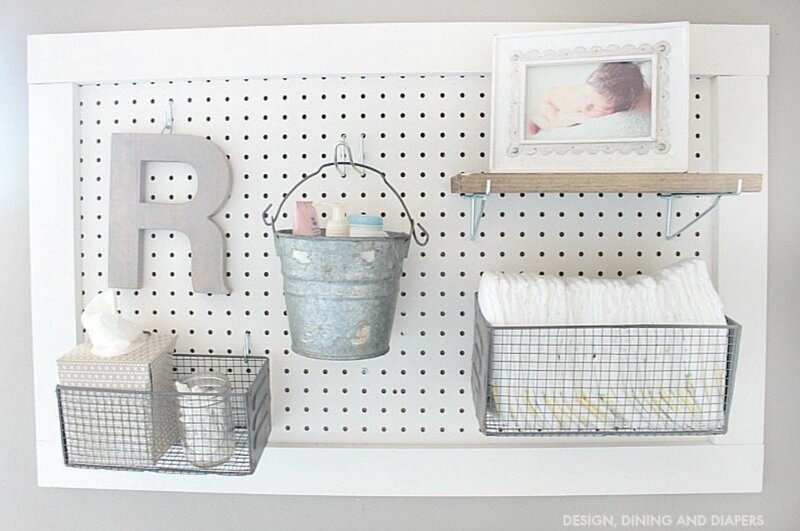 Well Christine and Jan at Little House on the Corner saw it, and they brought it to life with this DIY pegboard! 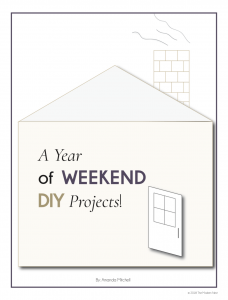 A lot of the projects here so far have been fairly large scale, but they are just as useful on a small scale! 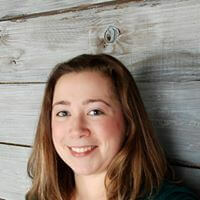 Colleen from Lemon Thistle’s paintbrush storage board is a perfect example! If you do a lot of painting at home, you can definitely appreciate how useful this handy organizer can be! 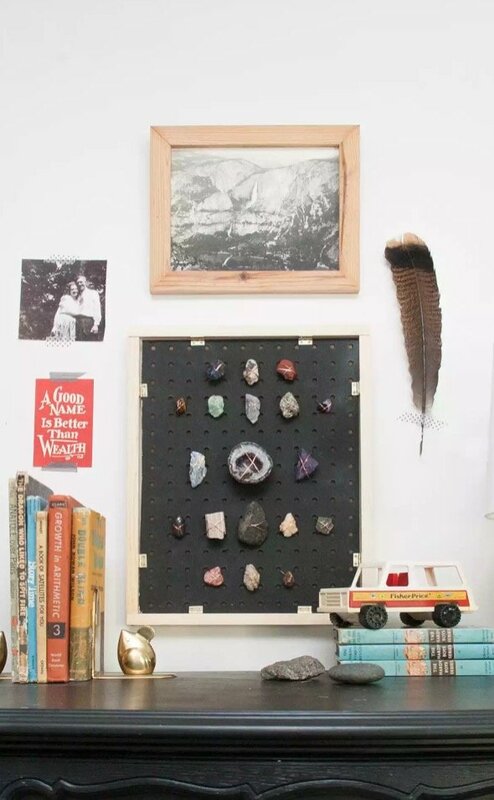 Have you ever thought of using pegboard to display your collections? Me neither, until I saw Joni from Lay Baby Lay’s solution to displaying her girls’ rock collection! 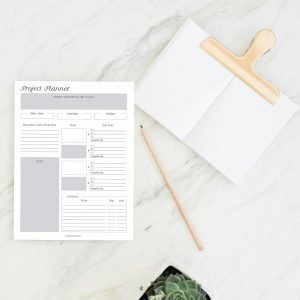 I love how this project is so functional yet decorative. Something like this could even take part in a gallery wall! If you do any yarn crafts, you probably already know that the yarn obsession is real. And so is the yarn storage dilemma that comes with it! 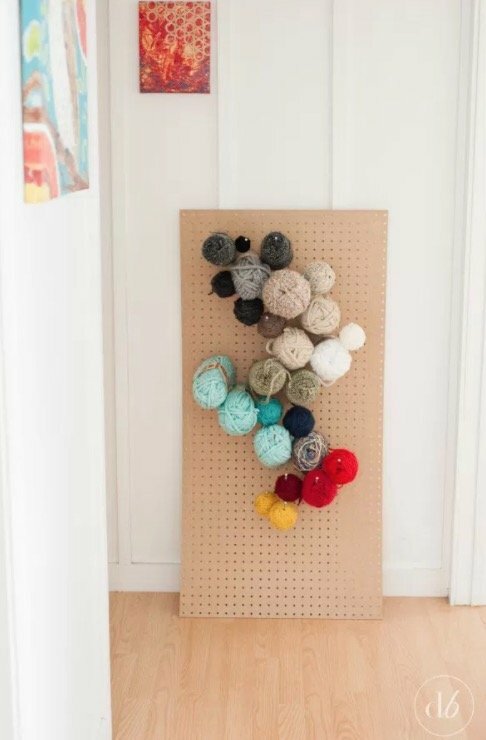 Fortunately, Erica at Dwell Beautiful has come up with a fun pegboard solution to contain that yarn! It’s so simple yet practical. Definitely one of those “why didn’t I think of that” projects that anyone can do! 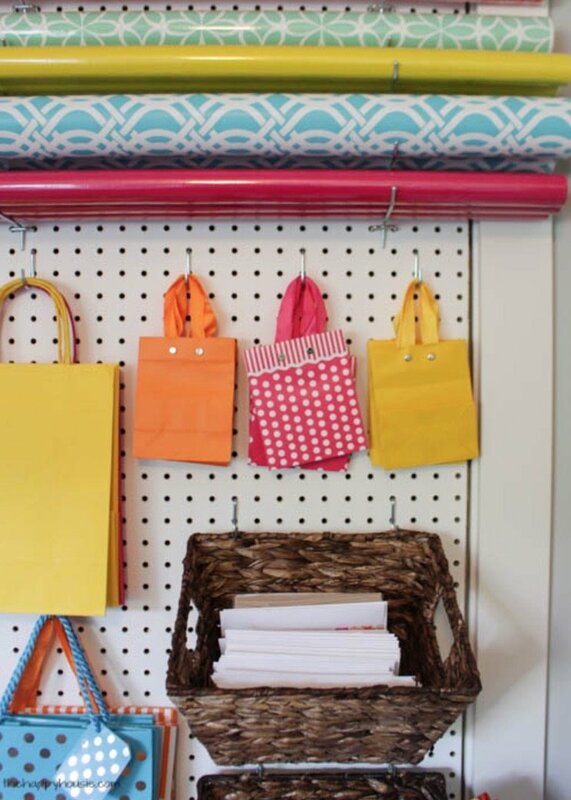 There you have a great list of projects that show you how to organize and decorate any space with pegboard! And for more DIY and home decor ideas, check out Inexpensive Tricks to Make Your Old Home Look New Again, Decorating Rules to Break Today, and DIY Farmhouse Mug and Measuring Spoon Holder. Lots of great ideas! 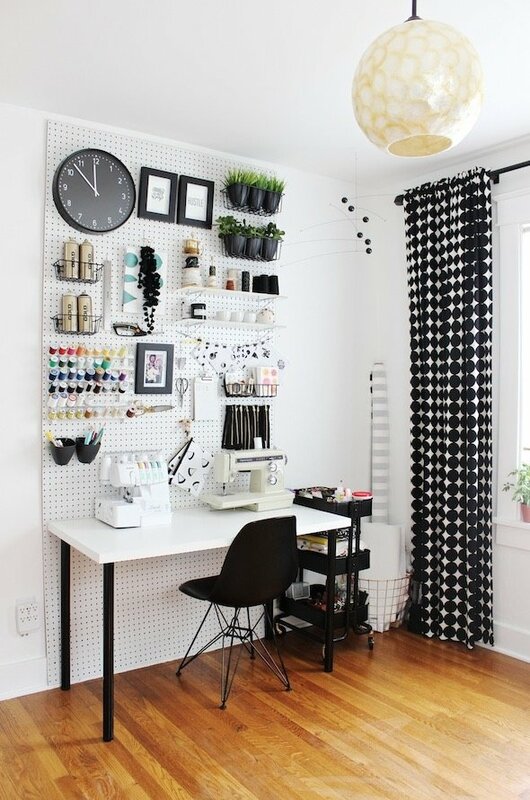 I love the pegboard with shelves and decor.